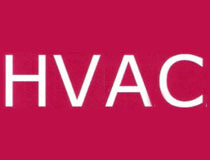 A trusted source for HVAC/R provided by factory trained, licensed, and certified technicians. Since 1988 Air-Tech Mechanical has been providing quality installations and service to satisfied customers throughout Northeastern Pennsylvania including consumers in Columbia, Lackawanna, Luzerne, Monroe, and Wyoming Counties. Air-Tech Mechanical is dedicated to performing our work in a professional way. Whether you are a commercial, industrial, or residential customer we will work together with you to identify your specific needs. Other HVAC contractors may use the philosophy of just get it up and running . Air-Tech Mechanical solves problems in a professional manner. When we go in on a job we use our technical knowledge to identify then solve the problem. Satisfaction Guaranteed. 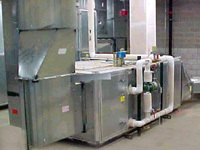 Air-Tech Mechanical services all-types of HVAC equipment including process cooling-types used in manufacture of other products and services; industrial personal spot cooling-people working on assembly lines or production; process chillers for optical laboratories, injection molding, tube manufacturing; spiral coolers; low temperature applications for industrial coatings, food production cooler-blast freezing; comfort cooling and heating-home and office environments. Air-Tech Mechanical is not your typical contractor, in that we develop a good relationship with our customers. The bond in our relationship produces a most important trust between the customer and us. Our customers can feel confident and comfortable knowing that we are not there to just make the problem go away for the moment. Once we are on site customers relax knowing we will fix the problem so it doesn't reoccur. 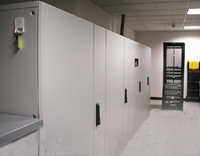 Air-Tech Mechanical customers know that if they have a problem our technicians will put it to rest quickly. Our response times always please our clients because we make ourselves available to our customers 24/7.